Looking for the best Dental clinic? Come meet our amazing team here at West Cobb Dentistry. 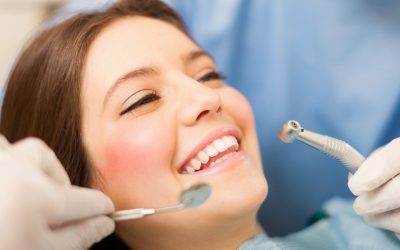 At West Cobb Dentistry you will feel relaxed in our state of the art dental facility. West Cobb Dentistry is conveniently located to residents of Kennesaw, Acworth, and Marietta Georgia! At West Cobb Dentistry, we value our patient relationships, making it our priority to deliver gentle compassionate care that you deserve from a dentist in Kennesaw, GA. We work hard to make you feel at ease by providing exceptional patient care in a relaxed, convenient atmosphere. We strive to develop lifelong relationships with our patients by combining the latest dental technology with a professional and compassionate staff. The result is a beautiful, healthy smile that lasts a lifetime. We also believe that patients should have sufficient information to make educated decisions about their oral health, treatment options and choice of dentist in Kennesaw, GA. We happily provide dental services to residents of Kennesaw, Acworth, Powder Springs, Marietta and beyond. We are located about 20 minutes from the Cobb County International Airport (RYY). You’ll find all of this important information on our website, including directions to our Kennesaw, GA office, service descriptions, patient forms, patient education resources and more. Not only are we a leading dentist in Kennesaw, GA, but we are also a full-service practice providing for all of your dental needs. 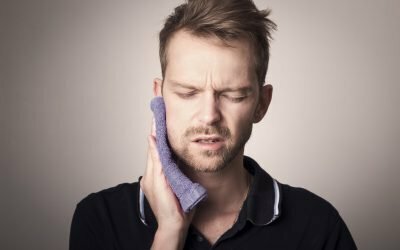 We have a Board Certified Oral Surgeon 2 Saturdays a month offering Wisdom Teeth Extractions, IV Sedation, Implants, Bone Graphs, Ortho Exposures, Biopsy, and Sinus Lifts. No insurance? We can work with you, find out more. Switched many years ago to W Cobb Dentistry. Not as close to my home as my old dentist but the people make the drive so worth it. They know you and your family and have seen me within hours of an issue - no appointment needed - just told me to get down there and they’d take care of it and they did! Shout out to Kaminski! I highly recommend West Cobb Dentistry. Our whole family goes there. The office manager Kellie treats you like family and is a true professional! The whole front office staff is friendly and welcoming. The hygienists are awesome! I can’t say enough great things about Dr Hall. He’s so gentle and compassionate. West Cobb Dentistry is the Best around!!! Dr. Hall and the staff here are great. They are very thorough and professional and have great "bedside" manner. They are a real asset to the Brookstone community! Fabulous dentist office! The staff is friendly and efficient and Dr. Hall has a wonderful disposition as well as being conservative in dental choices. It’s everything you would hope for in a dental office. I highly recommend them! Had my first visit at this office today for a cleaning. The staff is very friendly and the atmosphere is relaxed. Dr. Hall is very nice and thorough. I visited this office to obtain a 2nd opinion on an issue I'm having with a tooth. They provided a lot of info and did so in a caring manner. They didn't try to pressure me into a decision but made sure that I have an option just in case I loose my tooth. I used to have always hated going to the Dentist until I moved and started using West Cobb Dentistry. They treat us like family and the service is fantastic.Excellent Staff, Excellent Dentists, This facility makes for a pleasant experience. Staff is very friendly and professional. Going to the dentist is not usually my favorite experience, however I felt very relaxed and comfortable. Services are very reasonable too. I have a new dentist for life!!! I frequently recommend West Cobb Dentistry to friends and family who are looking for a great dentist. Dr. Hall and his staff are always super friendly, professional, and caring. I consider myself lucky that I have found such a great dentist. Top notch! My wife and I began coming to Dr. Gottee over 30 years ago, and even though the practice has changed hands, we still experience the same superior quality of care that has kept us coming back for so many years. Tara has been our hygienist for many years as well and she is the best. We can not say enough good things about the entire staff. Thank you for taking such good care of us. Had my routine check up and cleaning with Vickie this morning. Have been coming here for years. She does a wonderful job and is great with her patients!!! We absolutely love this office! They work with us while our family is going through a lot and always find us late enough appointments. And I don’t feel pressure to do more dental work than we are comfortable with. I can not recommend them highly enough. They are exactly what we were looking for and will stay with them for years. And they are great with kids too! I have been going to West Cobb Dentistry for about 20 years and will continue to go miles out of my way to receive the best of dental care. I appreciate the efficient, professional manner and friendliness of the entire staff but I am especially grateful for my dental hygienist, Tara, who has always provided excellent care. I visited the office on January 9, 2018 to have a procedure and I do have to say I was impressed with the entire staff, but more specifically Dr. Hall. He was very kind and made sure that I was comfortable throughout the process. I have to say that this was the best experience I have had in YEARS!!!! My daughter needed a stubborn baby tooth extracted so that her orthodontist can properly align her teeth. Appointment was at 3 o’clock, we were out of there by 3:25. Very quick, professional, & friendly to deal with. I had my regular dental cleaning on 12/19/17 at 4:00p (on-time). I get there early each time, but there is a relaxing atmosphere. The staff including the dentist are the BEST!. Thank you for always making me feel welcome. See you in 6-months. Merry Christmas, and happy holidays! I have been seen here for many years and always had a pleasant experience with he dentist and the office staff. My children also go to the Children's Center and they actually ENJOY going to dentist!! West Cobb Dentistry has been treating our family for more than 5 years. We could not ask for a more dedicated, friendly, and efficient team of wonderful professionals. 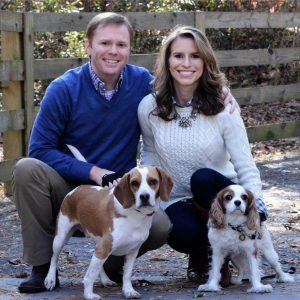 I highly recommend West Cobb Dentistry to others seeking a family-friendly quality dental team. This is, by far, the best dental exam experience I've ever had. As soon as I entered the office, the staff were extremely friendly. The hygienist, Brittany, was so friendly, comforting, and gentle! I tend to be sensitive when it comes to cleanings, but I never once felt uncomfortable. Dr. Hall was extremely nice and informative. He made sure I understood any problem areas and a thorough plan of action. I will definitely return, and I hope you give them a try, too! Only always good things to say about this practice and all the staff! Our family has been with the practice for a number of years and have been very pleased. Staff is always pleasant and knowledgeable. They are considerate of our time, never any long waits. Although they are conscientious about explaining what is needed and what may be a possible issue in the future, they are also very good about not pushing the cosmetic extras. Very happy to have found West Cobb Dentistry!